Spilt Something? Got a Stain? 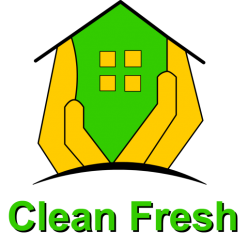 Clean Fresh UK offers a comprehensive stain removal service. We can get the best results from even the most stubborn spots and stains, to get the best results from our cleaning service, it’s best to contact us as quickly as you can before the spillage has time to penetrate the fabric or carpet. If you do decide to treat the stain yourself, please be sure to test the cleaning product on a hidden area before using it on the carpet or fabric. Cleaning products can often affect fabrics and leave a worse stain or bleed the colour. It’s also important to keep in mind that the products used will differ depending on whether the material is washable or not. If you would prefer the services of a professional team, then please do call us. We have had experience with a variety of stains, on a range of fabrics and materials. Clean Fresh uses the best and technology. We know how to make sure that your fabrics, carpets and rugs keep their original colour and appearance. All of our team have been fully trained to inspect the stain and offer you a prediction on what the expected results will be, before any work commences. Remember, we’re just a phone call away – so whatever the spillage – we can help. Spot and stain treatment is our business.